For many, the start of spring is signaled by several sounds: birds chirping, the quiet pitter-patter of rain. For Toronto Blue Jays fans, the beginning of spring is marked by one man’s iconic voice as he calls the ballgame over the radio. 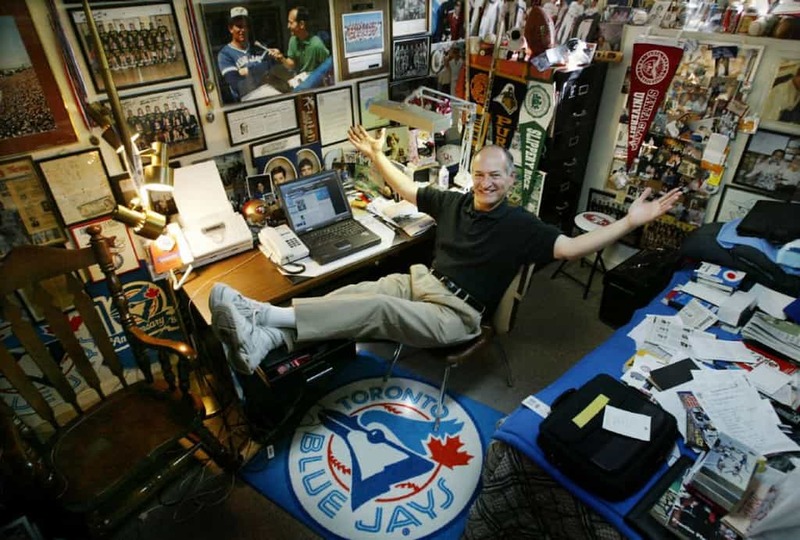 Jerry Howarth had been the Jays’ play-by-play announcer for 36 years until he stepped away from his duties earlier this year. Howarth spoke with The Varsity about his career and beginning a new life away from the radio. Broadcasting for a professional sports team is no easy job. While the public is only tuned in for a couple hours, an announcer’s work starts hours beforehand. Prior to a single word being transmitted across the air, Howarth spends hours preparing and studying for the upcoming game. However, now in retirement, Howarth has found a new way to spend his time. Howarth also adds that time away from baseball allows him to spend time with his wife, two sons, and three grandsons. Of course, you can take Jerry Howarth out of baseball, but you cannot take baseball out of Jerry Howarth. “I go out to the first game of every series; I’ve been out about 15 [or] 16 times,” he says. “What I do is I get out on the field at about quarter to four — I visit with [Manager] John Gibbons, the coaches, the players.” Howarth also greets the media staff, and in particular, reunites with those of the visiting team. “You give each other hugs and it’s a wonderful time,” he adds. Through the 36 seasons of baseball that Howarth called, the Blue Jays achieved two MVPs, four Cy Youngs, a Rookie of the Year, a no-hitter, two World Series, and a Hall of Fame player in Roberto Alomar. But two memories stand out the most. On the evening of October 24, 1992, the Jays needed just one win against the Atlanta Braves to win their first World Series Championship. The broadcasting duties were split between Howarth and award-winning announcer Tom Cheek. The innings were split with Howarth calling the game in the third, fourth, seventh, and eighth innings, while Cheek called the other five. If the game was to go into extra innings — as we now know it did — the two would alternate innings, with Cheek starting the 10th. “Tom was so surprised and happy all at the same time. He just sat right up, said ‘Thank you Jerry’ and called the bottom of the inning. Atlanta scored one run, but the Blue Jays would win it 4–3 at the end of 11 innings.” The decision felt right to Howarth; he believes that it made him happier than if he had called it himself. The second memory is one that many diehard Jays fans hold close to heart. One of the most emotional home runs in franchise history came off the bat of infielder John McDonald. In 2010, McDonald’s father passed away, and according to Howarth, his dying words to his son were, “John, hit a home run for me.” McDonald wasn’t known for his power; in 16 major league seasons, McDonald had only managed to hit 28 home runs. Days later, on Father’s Day, Howarth witnessed a scene straight from a movie, as the Jays were playing at home against the Chicago White Sox. Howarth’s personal decision to exclude these names was essentially unnoticed for over two decades until listers started to catch on. In an interview with Jeff Blair of Sportsnet, the two discussed the decision of eliminating these words from the broadcast. The interview went viral. “I was very happy that it all came about that way, so that people began to recognize at least an issue that maybe they hadn’t thought of before,” says Howarth. While Howarth and many protesters of the Cleveland’s red-faced Chief Wahoo logo look forward to its elimination from on-field attire in 2019, more systemic changes are on the way for Major League Baseball. Coming off the inaugural season of the Las Vegas Golden Knights, the NHL has begun its shift to 32 teams, something that seems to be on the way for baseball. But Montréal Expos fans should not get excited for a potential refurbishment of the Expos, according to Howarth. Despite stepping away from the radio, Jerry Howarth is not done telling stories. His autobiography is scheduled to be released in February 2019, featuring over 100,000 words on his life on and off the field, from high school, to the army, to his 36 years as the Blue Jays’ radio play-by-play announcer.